The ProFast Premium Deck Screw patented design requires no pre-drilling and is great for decking and all exterior wood projects. The specifically formulated coating is design to prevent rust, staining or streaking in all pressure treated wood. An average of 4 to 6 screws are required per square foot when using a 2 x 6 or 5/4 x 6 wooden decking. 25 year satisfaction guaranteed against rust and corrosion. 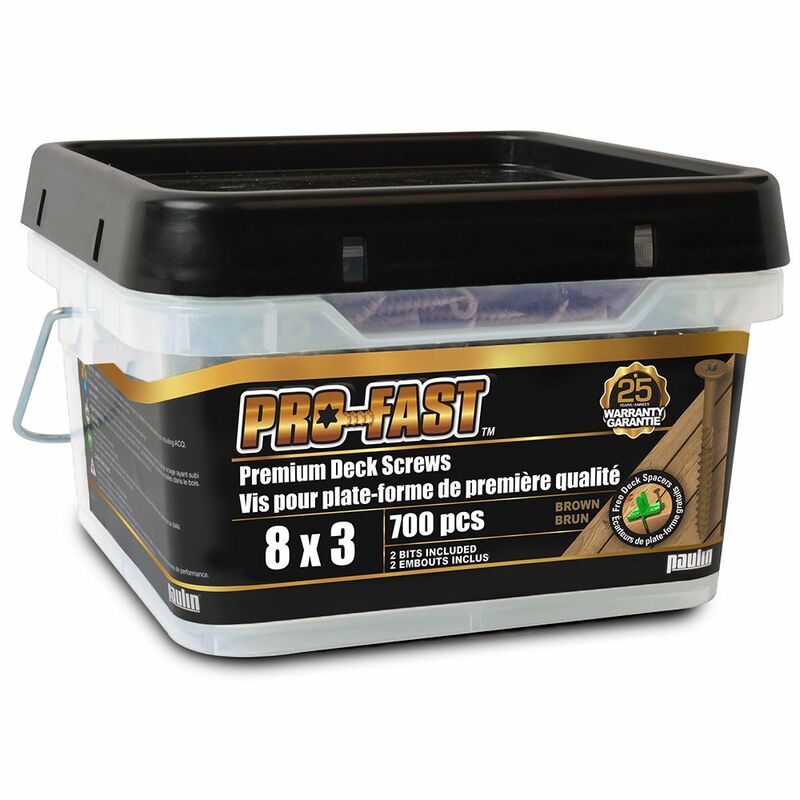 #8 x 3-inch Star Drive PRO-FAST(TM) Premium Deck Screws in Brown - 700pcs The ProFast Premium Deck Screw patented design requires no pre-drilling and is great for decking and all exterior wood projects. The specifically formulated coating is design to prevent rust, staining or streaking in all pressure treated wood. An average of 4 to 6 screws are required per square foot when using a 2 x 6 or 5/4 x 6 wooden decking.